Purpose: The Religious Humanist of the Year Award is bestowed upon individuals who promote and advance the ideals of Humanism within the Unitarian Universalist Association or in society at large. 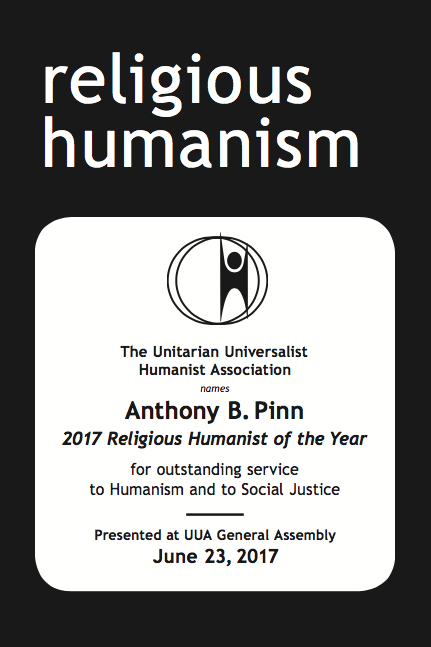 It recognizes leadership and effort in promoting the UU Humanist Association's Mission. Creating greater awareness or appreciation for Unitarian Universalism within the secular community. We invite all members to submit nominations for the Religious Humanist of the Year Award at any time during the year. The award will be presented at the association's annual meeting at the Unitarian Universalists Association General Assembly. The officers will review the submissions up to six months before the annual meeting and make recommendations to the board who will make the final decision. The selected nominee will be contacted by the UU Humanist president and given the opportunity to accept the award and make a brief acceptance speech at the association's annual meeting. Provide the name, title, organizational affiliation, if any, and contact information for your nominee. Include your own contact information and your relationship to the nominee, if any. Tell us why you think the nominee is an appropriate recipient of the award. Give us links or references that will help us learn about the nominee.